Comprehensive update necessary; some addresses may no longer be valid. Slow loris. Photo: F. Wiens This is no complete list of rescue centers because it focuses on rescue facilities for lorises and pottos. Some general information about rescue stations is included here, see colour code. If you are looking for information about rescue and rehabilitation centers not mentioned here, you may look in other websites such as the Aesop projects Links to primate sanctuaries & sanctuary organizations of the International Association for Primate Refuges and Sanctuaries (IAPRS) . The quality of captive care by the listed facilities cannot be verified by the compiler. Species rescued and details about facilities are mentioned as far as known. Attention: transport of protected wild animals is illegal in many countries; in addition, danger of disease transmission or bites of terrified animals should be considered, and attempts of unskilled helpers may cause distress and aggravate health problems of animals. It may be best to inform skilled rescue center personnel instead of trying to catch an animal. And please consider: if you buy an animal illegally offered on a market for saving it, you support trade. For every profit made by selling an animal, several others may be killed to offer a new one. Preliminary draft, compiled by Helena Fitch-Snyder (Center for Breeding of Endangered Species, San Diego Zoo), March 2001. Some additional addresses from the website of the International Association for Primate Refuges and Sanctuaries (IAPRS; see below) and information from other sources such as websites of institutions are included. Telephone and e-mail addresses are only be included with the agreement of institutions / persons concerned. Phnom Tamao Wildlife Rescue Center is situated within a protected forest. The center provides a natural refuge for rescued Cambodian wildlife. Facility on an area provided by the province government of Siem Reap. Under construction since April 2003, some sections, including veterinarian station, facilities for small mammals, turtles and large birds, meanwhile finished. First animals have been taken in in January 2004. Registered NGO. Wildlife assistance projects in Cambodia "WAPIC"
Wildlife rescue center established by the Council of Agriculture in 1993. Housing, rehabilitation, relocation, conservation breeding for confiscated animals and abandoned wildlife pets. Mainly primates originally from Taiwan (Formosan macaques) and other Asian countries (including orangutans, gibbons, other macaques; pygmy lorises); other wild animals such as tigers, sun bears and small carnivores). Cooperation with the Monkey World and Ape Rescue Center in Dorset, UK for conservation of Asian primates. Primate section: for bonnet macaques and slender lorises, up to 30-50 animals. People for Animals (PFA) - organisation which maintains animal hospitals, ambulances and refuges all over India for domestic animals. The wildlife wing of PFA, Save Our Wildlife (SoWL), runs a 24 hour service for rescue and rehabilitation of urban wildlife. The website of People for Animals Bangalore which also included reports about loris rescue and rehabilitation, at http://www.pfabgl.org/story-loris.htm and http://www.pfabgl.org/lorris.htm, seems no longer available. Indonesian rescue facilities urgently need support because of lack of funding. Right now, the majority of the websites recommended here earlier have vanished, in most facilities proper care for the animals is no longer possible. Some facilities may need to be closed although thousands of animals depend on them for help such as confiscation, housing, medicinal treatment, medicine like pain killers, food and financial support of reintroduction programs. Urgent case: the Kalaweit Gibbon and Siamang Rehabilitation Project with facilities on Indonesian Borneo (for gibbons) and on Marak Island west of Sumatra (for Siamangs), see their website for possibilities to help. For support of rescue facilities in general see for instance you can donate via International Animal Rescue, IAR or to ProFauna Indonesia. More information how help is possible will be included here when available. Indonesian Wild Animal Rescue Centers (Pusat Penyelamatan Satwa, shortened as PPS) supposed to cooperate as a network to assure efficient animal rescue and welfare of protected animals in the rescue centres based on IUCN criteria, release, if possible, and support of authorities in law enforcement for diminishing illegal trade with protected species. Because of lack of funding the work of the network is threatened. Rescue facility especially for slow lorises and other primate species, located in the rainforest of Ciapus, near Bogor, West Java with a vet station and conservation awareness center. Other parts of the facility are designed for the rehabilitation of confiscated pet macaques. This centre would not exist without the help of the Tjandra family who kindly provided the necessary land, and without the financial support of the International Animal Rescue, IAR, http://www.iar.org.uk. Rescue station and forestry research center related to the international Kalimantan Project of the Indonesian Ministry of Forestry and Estate Crops (MOFEC) and Tropenbos International, Netherlands. Aim is to contribute to the conservation and wise use of tropical rain forests through applied research. The Wanariset station is located 38 km north of the city of Balikpapan. It comprises 3,504 hectares of experimental forest, botanical facilities (e.g., herbarium, green house, nursery, laboratory), research library, office and educational centers, and orangutan rehabilitation headquarters. Founded in 2003, member of the Indonesian Wildlife Rescue Centre Network. Rescue facility for rare and endangered Indonesian animals, reintroduction, conservation of species and ecosystems, support for law enforcement activities by the Indonesian authorities, conservation awareness work for local communities (Information from the center website, 28 December 2004). The Wild Animal Rescue Foundation of Thailand (WAR) is a non-profit-making charitable foundation dedicated to the welfare and preservation of natural species of animals in Thailand. War was started in 1985 by Pongsagdi and Leonie Vejjajiva with the encouragement of Pisit Na Pattalung, secretary of the Wildlife Fund Thailand. Its objective is to care for wild animals that are disabled or unwanted or otherwise unable to function normally as a result of maltreatment or disease. Wildlife Rescue and Gibbon Rehabilitation center located at Kao Look Chang Temple in the Petchburi province, Thailand, approximately 200 kilometers south of Bangkok. Fully registered foundation under Thai law. Rescue and rehabilitation of wild animals previously exploited as pets or used for profit within the tourist industry, including gibbons, macaques, civets, tigers, loris, snakes, birds, leopard cats, leopards, bars and various species of deer. The EPRC cares for rare primates confiscated from the booming illegal animal trade. With these confiscated individuals the EPRC has successfully formed several breeding groups and it strives to establish stable captive breeding populations of some of the rarest primate taxa and the longterm goal is the release of captive bred offspring back to the wild. The center includes a five hectare site which is home to more than 100 primates, a main building with veterinary facilities, a quarantine building and 2 'semi-wild' or open enclosures for gibbons and langurs. The Center tries to provide sufficient housing and natural food sources to mimic wild groups and their natural habitats as much as possible (information from the center website, 10 June 2001). The zoos in Accra and Kumasi may provide a home for confiscated wild animals. The Centre for Endangered Primates within Accra Zoo is specialized on some highly threatened simian primate species (see below), it has no facility for taking in prosimians like pottos (S. Reichler, pers. comm.). Construction work for Ghana’s first endangered primate centre has been finished in February 05, the centre will soon be opened officially (Information from J. Trillmich, WAPCA). It been developed in cooperation by WAPCA (West African Primate Conservation Action, main aim: preservation of threatened primate species in the West-African Upper Guinean Rainforest), the Ghana Wildlife Department, the zoo in Accra, Ghana’s capital, and sponsors. It provides naturally designed cages, best feeding and veterinary care. The Centre will enable the authorities to confiscate illegally kept primates held as pets or offered on markets; in the long run, critically endangered primates are supposed to be re-socialised and reintroduced to their natural habitat. The centre will also promote conservation awareness in visitors of Accra Zoo including school children, providing information about the dramatic situation of endemic wildlife species caused by human exploitation (Reichler, 2001; WAPCA website). State-approved rescue facility for exotic animals, particularly primates. All simian species except adult apes or baboons / mandrills. Takes in nocturnal primates and prosimians. Orphanage for primate infants. Aims: rehabilitiation, resocialization, mediation into good permanent care. German /Deutsch: Rettungsstation für exotische Tiere, Affen und Halbaffen. Alle Affen außer erwachsenen Menschenaffen und Pavianen / Mandrills. Nachtaktive Primaten und Halbaffen können aufgenommen werden. Aufzuchtstation für verwaiste Primatenkinder. Ziele: Rehabilitierung, Resozialisierung, Weitervermittlung in gute Haltung. Small state-approved non-profit, non-public facility for old, sick and surplus captive lorises; captive breeding within an EEP = European conservation breeding program for L. t. nordicus (see studbook page). Limited space for taking in confiscated nocturnal prosimians on request. Research, information for rescue and breeding facilities. 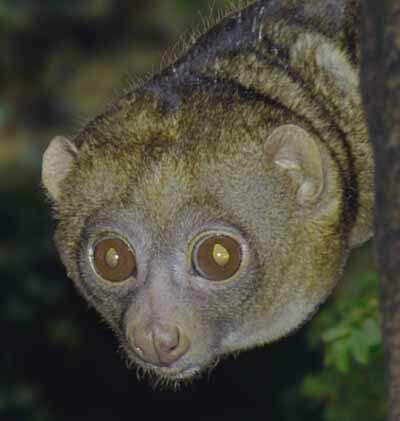 Maintained by the compiler of the loris and potto conservation database. Cooperation with other institutions: see coauthor pages of this website. German /Deutsch: Adresse: siehe Impressum. Kleine, behördlich anerkannte, gemeinnützige, nicht-öffentliche Einrichtung vor allem für alte und kranke Loris aus Zoo-Zucht. Loris-Erhaltungszucht (L. l. nordicus) im Rahmen eines EEP, siehe Zuchtbuch-Seite. Aufnahme nachtaktiver Prosimier auf Anfrage, generell nur über anerkannte Institutionen. Forschung, Bereitstellung von Informationen für Zucht- und Rettungseinrichtungen. Unterhalten von der Herausgeberin der Loris- und Potto-Artenschutz-Datenbank. Zusammenarbeit mit anderen Institutionen: siehe Koautoren-Seiten in dieser Webseite. Tierheim Berlin - animal shelter Berlin, in the future. According to a report of 28 July 2007 by the Financial Times / dpa, building of a rescue facility for marooned exotic animals such as reptiles is planned, with start of construction work in September and opening in May 2008. This measure became necessary because zoos cannot take in all animals coming from booming trade with exotic species. Primate sanctuary in Israel which rehabilitates primates confiscated or in need, introduces them into social groups of their species and then looks for permanent places for them in good zoos, wildelifeparks etc in Israel or abroad. 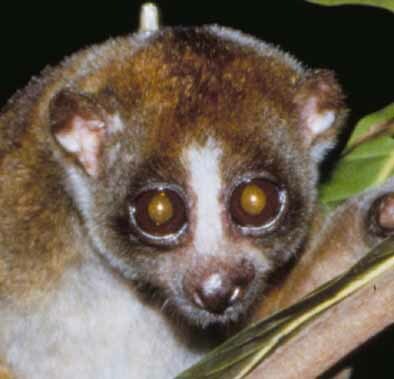 Facility for confiscated pygmy slow lorises and other loris conservation projects planned (T. Fredman, pers. comm.). Nonprofit organisation re-homing & rescueing non-native wild animals which have been abandoned, confiscated, surrendered to rescue centres or the authorities, or become surplus within Zoos. Covering Northern Ireland, the UK mainland and Southern Ireland, for help for primates from elsewhere contact via website. Experience with lorises. A non profit New World Primate Rescue & sanctuary which offers a permanent proper home for primates in need. A referral service to larger primate issues is offered. Cooperation with local authorities, state and federal, zoos, research facilities, pet owners. Education on primates offered to the general public. Engaged in the fight of destruction of natural animal habitats and illegal pet trade worldwide. Also involved in parrot rescue and welfare. Glandt, D.; Münch, S., 1998: Internationaler Artenschutz in Deutschland - Unterbringung und Vermittlung beschlagnamter Tiere [International species conservation in Germany - housing and mediation of confiscated animals]. Results of a symposium, 11-13 June 1996 in the Biological Institute Metelen e. V., Metelen, Germany. Edited by Biological Institute Metelen e. V., ISSN: 0936-7357. Perron, R. (ed. ): Quantum Verzeichnis, 2001 [Directory of European zoos and conservation orientated organisations. Edited by Quantum Conservation, Schützenhofstraße 30, 26135 Oldenburg, Germany]. Schüling Verlag, ISBN 3-934849-90-3.